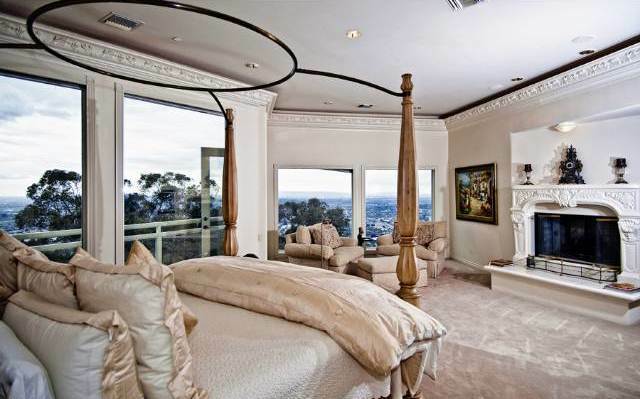 So, if wasn’t pretty obvious, this is not a Marina del Rey pad…. 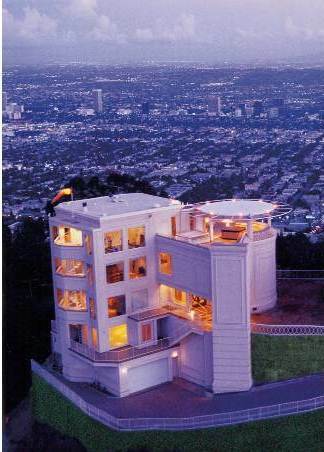 None the less, it is very deserving of some attention, being one of my favorite homes on the market in Los Angeles. If you’ve ever wanted the ultimate show piece, well here it is! 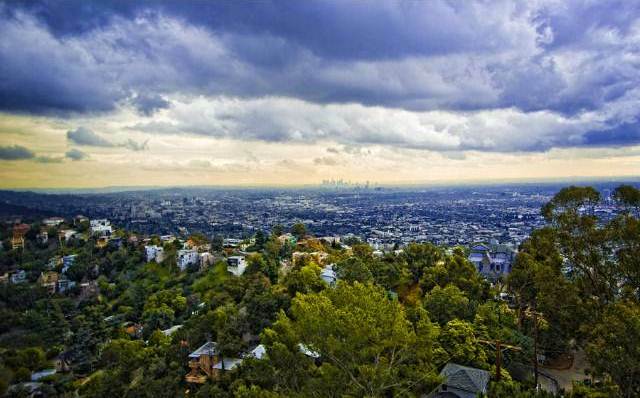 Located on a granite based ridge top sits one of the most amazing homes in Los Angeles. Dubbed the ‘Safe House’ this property lives up to its name. It wasn’t so long ago that panic rooms were thought of as little more than a plot line for a Jodie Foster film or an expensive eccentricity of the paranoid. No more. Nowadays, increasing numbers of homeowners are spending big bucks to have panic rooms, safe cores and other sorts of high-tech security systems installed in their home to ensure their family and possessions are kept safe from the unknown world at hand. One residence, located high in the hills above Los Angeles, went several steps further than a simple but effective panic room. The lavish and luxurious appointments of the sky-high mansion discreetly hide and disguise a security system so tight that it just may be the safest house in the world. 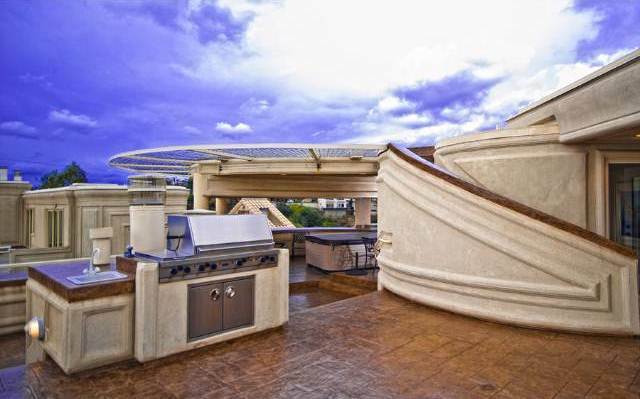 This modern-day luxury fortress was designed and built in 2002 by a renowned authority on residential and yacht security whose stock in trade is designing integrated systems with detection, deterrence, defensive and offensive options. 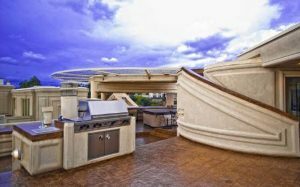 The heavily fortified and super secure residence occupies an easily defended promontory with 360-degree views. The well-defended dwelling stands five stories tall, measures almost 8,000 square feet and includes 32 rooms that all sit atop a virtually impenetrable batcave-like garage that will hold six, armored cars. In addition, this seriously safe house has five bedrooms and eight bathrooms including a master suite with panoramic views, a fireplace, a luxurious bathroom and a custom-fitted dressing room that would satisfy any clothes horse with a penchant for high-powered security systems. When not aiding the defense and security of its occupants, the fortress-like home functions like any other well-appointed mansion with deluxe creature comforts such as an elevator for whisking folks from the garage level to the living levels, a gourmet kitchen with granite counter tops and commercial grade appliances, two offices, a wine cellar and a home theater. The safe cores consist of entire sections of the residence that can be isolated from the rest of the home and where the homeowner can retreat in complete safety — not to mention luxury — from an outside threat that might include an intruder, a natural disaster or even a nuclear, biological or chemical attack. The extent of the security features will only be disclosed to the future owners.